700 participants from different areas of the country and beyond are expected to participate; they will be divided among 19 categories that span swimmers from 7 to over 70 years of age, plus a special category for the disabled and professionals. 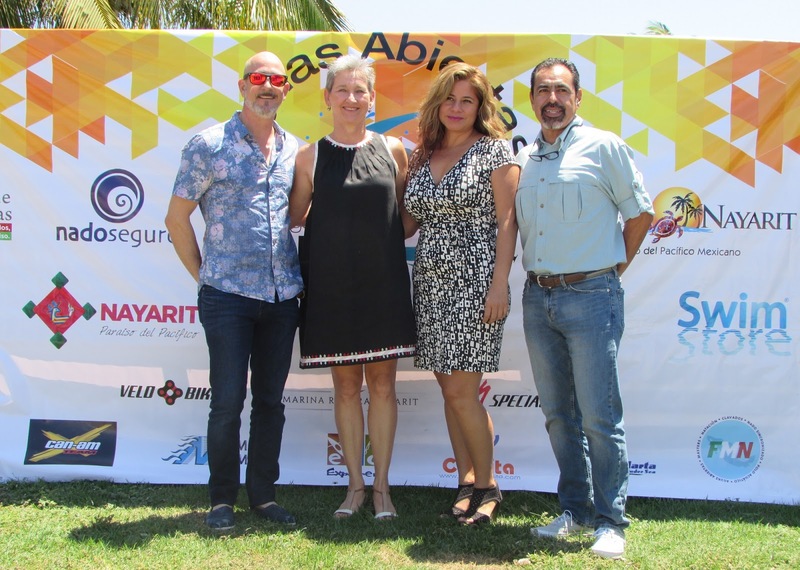 On April 1, 2017, the Marina Riviera Nayarit in La Cruz de Huanacaxtle will welcome the 7th Riviera Nayarti “Nado Seguro” 5-3K tournament. This year’s event is celebrating its inclusion in the Global Swim Series, which will surely result in new growth for the tournament, as this particular organization boasts a global competition network in 26 countries with more than 38 thousand affiliated swimmers holding 80 competitions throughout the year. During the press conference, event organizer Belín Villasante commented on this achievement, stating it was thanks mainly to the international positioning of the Riviera Nayarit, but also to the great connectivity and infrastructure, the increase in participants and other distinctions that make this one of the country’s most important competitions. The first group of swimmers will enter the water around 7 a.m. followed by each consecutive group until all the categories are completed around noon. There will be judging in the water and plenty of security for all participants. There are an expected 700 swimmers from different areas in the country and beyond the borders, who will be divided into 19 categories with participants ranging in age from 7 to 70 years, including a special category for the disabled. All categories will receive medals and trophies for first place winners; there is also a professional men’s and women’s category that will be the only one with cash prizes. Registration closes on March 31, 2017 and costs $800 pesos, and includes an official t-shirt and event cap, snacks and hydration at the end of the competition, as well as a participation medal. For more information click: http://www.aguasabiertasnadoseguro.com/.